Former Defence Secretary Gotabhaya Rajapaksa does not deserve any additional protection as the security detail assigned to him is more than adequate for the purpose, Sustainable Development, Wildlife and Regional Development Minister Sarath Fonseka said yesterday. Speaking to journalists following a public event in Kelaniya, Minister Fonseka stated that Rajapaksa’s security detail was larger than what was assigned to him. “I only have 17 Police officers deployed for my protection. 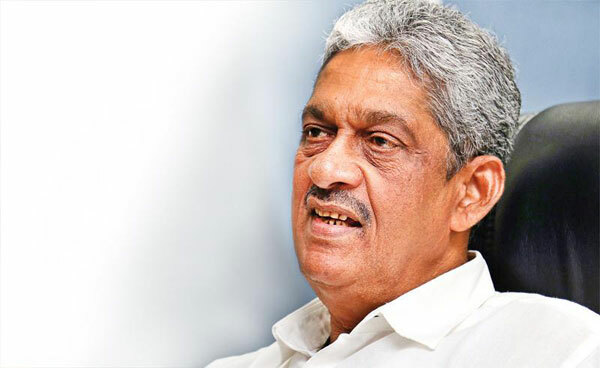 He has 25 military officers, both STF and the Commandos for his protection,” Minister Fonseka pointed out. He went on to say that no other Ministry Secretary received Police or military protection following their retirement. “He does not hold any government responsibilities now and is not committed to public service either. He is not qualified to receive the same protection that a President, the Prime Minister or a Minister does,” Minister Fonseka added.